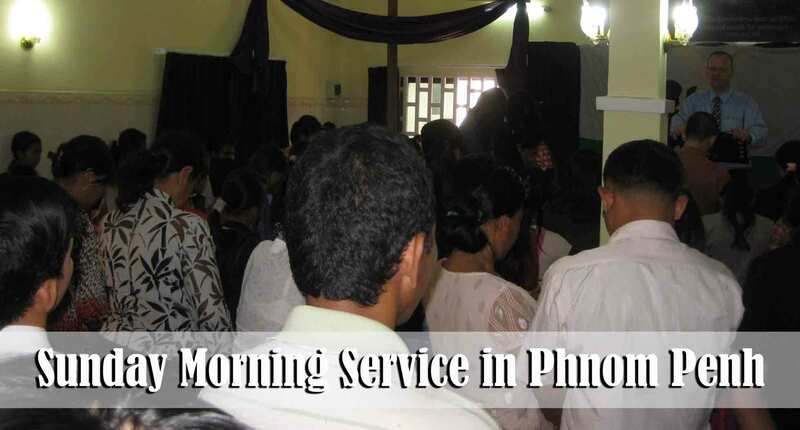 Today’s update will be very short because of time… We had great services today here in Phnom Penh. In addition to our regular morning and evening service, we also began our Youth Conference. 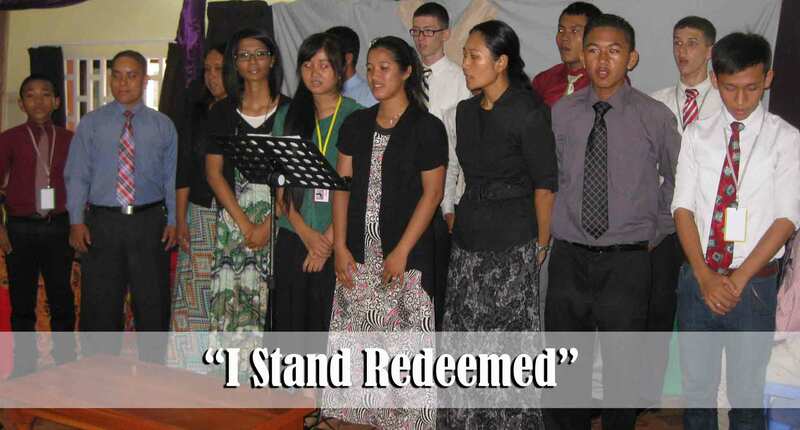 Our English ensemble sang the song “I Stand Redeemed.” It is so encouraging to see how this group is developing in their musical abilities. They have to practice so hard to get the words down in English and we are grateful for all those who make this group happen! It was a blessing to have 18 folks follow the Lord in Believer’s Baptism after the morning service. Please help pray that all these individuals will continue to grow in the Lord and in their faithfulness to His purpose for their lives. We have begun having all the men meet together prior to each of our Sunday services for a time of prayer. For the last two weeks there has been nowhere to meet because we have been so crowded. Therefore they have spread out on the platform, around the auditorium, and in a classroom. It is a blessing to hear the sound of men praying together. We believe that one of the reasons why God is blessing the ministry here is because we are all trying to depend upon Him to change hearts and minds. It is challenging to see the faith of some of our nationals as they call out to God in prayer. We tried our best to put a limit on the number of teens who were allowed to participate in our Youth Conference. We invited only a select group from each of the village ministries. For some of these young people it was their very first time to come to the big city. 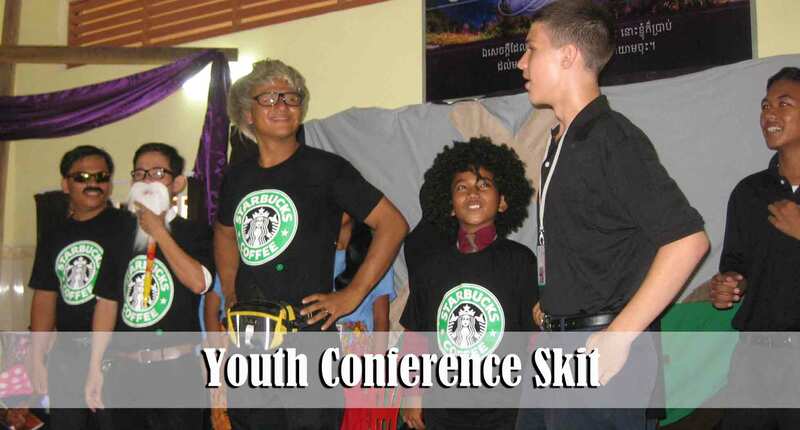 The teens had to have a special invitation in order to participate in the conference. We had to limit participation because of the fact that we can only handle a limited number of people here on our property at any given time. Plus the fact that it is a huge challenge to transport the young people to and from the events we had planned for them away from the church. We put the limit at 75 – yet, somehow we ended up with closer to 90 teens. Not sure how that happened. I guess God knew who needed to be here this weekend. This is our very first Youth Conference and it has been great! We are so thankful for the involvement of the adults in our church here in Phnom Penh as well as for their patience in dealing with the young people. We have almost 30 teens sleeping here at the church and in our home who traveled in from the village ministries for the conference. Brother Torres and I are taking care of the boys. Samantha Thaing is taking care of the girls. She has 21 of them in her apartment tonight! We kicked Vannak out of the apartment and sent him back home to his mom for one night so the girls could sleep there with Samantha. He had a great attitude about it! During each of the services Bro. Has has a special skit. They are very funny and the teens love watching them. The skit team put a lot of work into practicing these skits. I preached a message this morning from Daniel 1:8 entitled “Daniel Purposed in His Heart.” This evening Brother Vannak preached a fantastic message entitled “Jesus is Calling Every Person to Follow Him.” This evening the altars were full of teens making decisions for the Lord. The conference will end Monday evening. Please keep our young people in your prayers over the next 24 hours as we conclude the meeting and they return to their respective villages. The kids had a great time playing dodge ball and tug of war at the park! Believe it or not, as far as I know, all of these kids with the exception of one are over the age of 13! (One of the requirements to attend is that they had to be between the ages of 13-18.) The little guy in the white shirt and blue shorts is 10 years old…he is so faithful to the village ministry that the worker did not have the heart to turn him away. Jason and Justin got to practice their hospitality skills this morning! So many people worked so hard to make the morning service a special one today. Several of our men left at 5:00 a.m. to pick up teens in the villages. 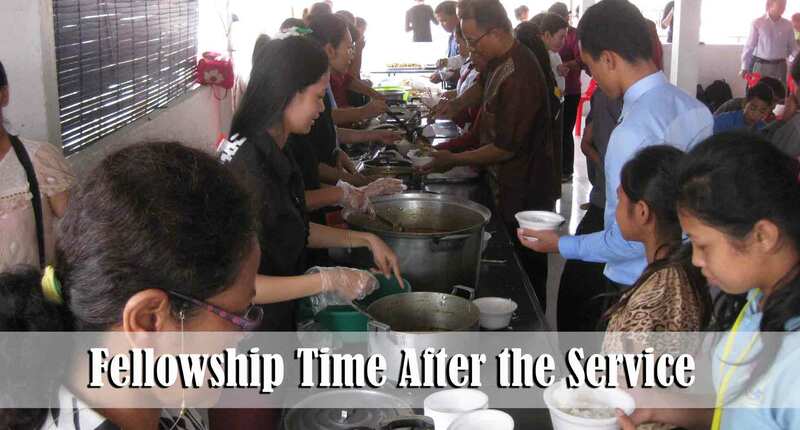 Many of our ladies were up at the same time preparing food for the Curry potluck after the service this morning. We are so blessed to serve with new believers who take their ministries seriously. Last week we mentioned that Vuthy visited the Sunday morning and evening services. He returned for the midweek service, as well as Saturday men’s prayer group and young adult men’s ministry. He was also at all of the services today. He is so attentive and we are excited that God brought him our way. It is a very rare thing to have a Christian from another church be able to fit right in to our church as we tend to be quite a bit different than the status quo Cambodian church. 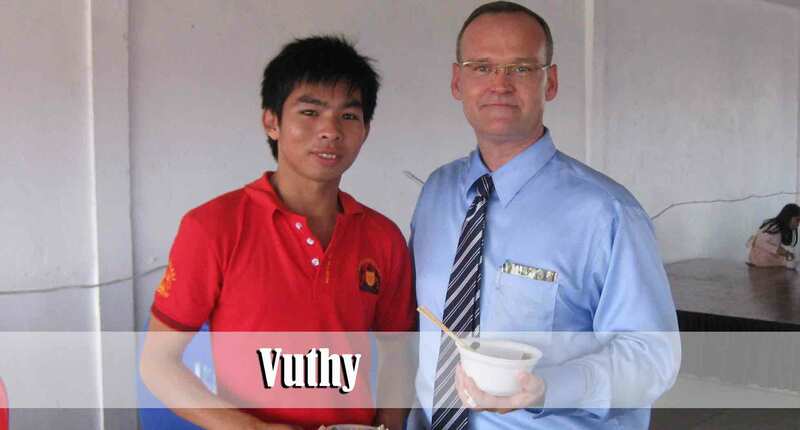 Please continue to pray that Vuthy will get plugged in and discover in which ministry he ought to be serving. We have been reaching out to Piseth and his family in Law Gombou village for the past couple of months. We are so blessed to have Hang, Piseth’s 16 year old son, attend the Youth Conference. It is the first time that he has slept away from his own home. I praised Piseth and his wife for having firm rules in their home and keeping their children protected from evil influences. Piseth told me that they are allowing him to come and sleep at our house and be a part of the conference because they trust our family. We feel a huge responsibility. I believe that this is just one more sign that this entire family is opening their hearts to the Lord. 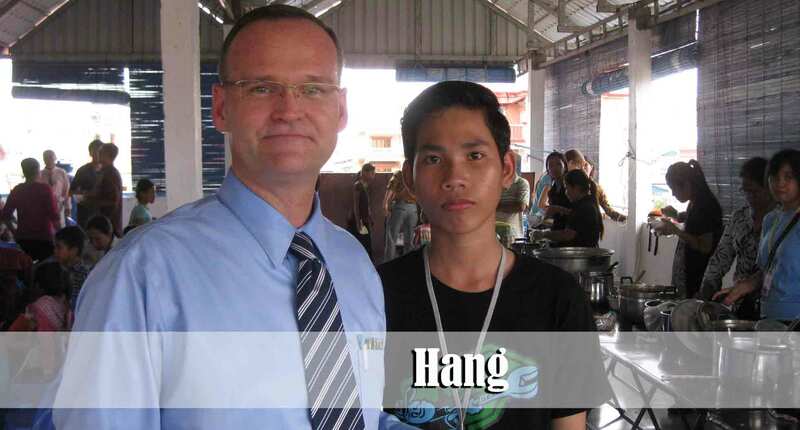 Please pray for Hang as he has been under direct preaching this weekend for the first time in his life. He looked very happy this morning and evening during the services. We trust he will be saved soon! 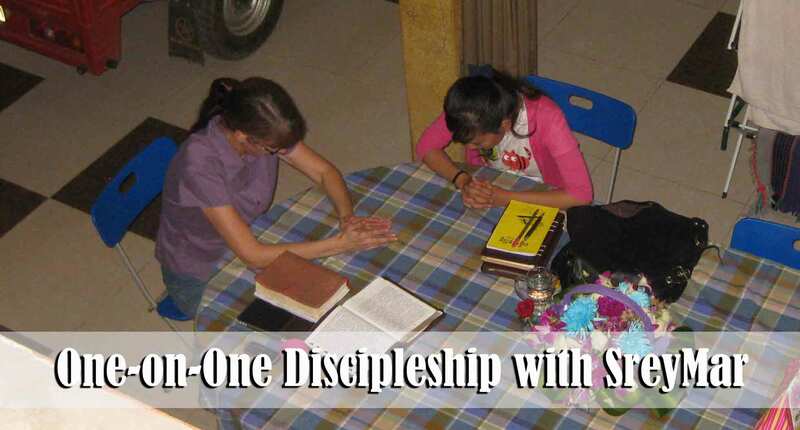 Debbie continues to meet with SreyMar for personal discipleship in our home. SreyMar’s schedule at the airport is a very hectic and unpredictable one. She has very few hours off each month which makes it impossible for her to have a set time to meet with Debbie. We are so thankful to see how she is growing in her new faith. 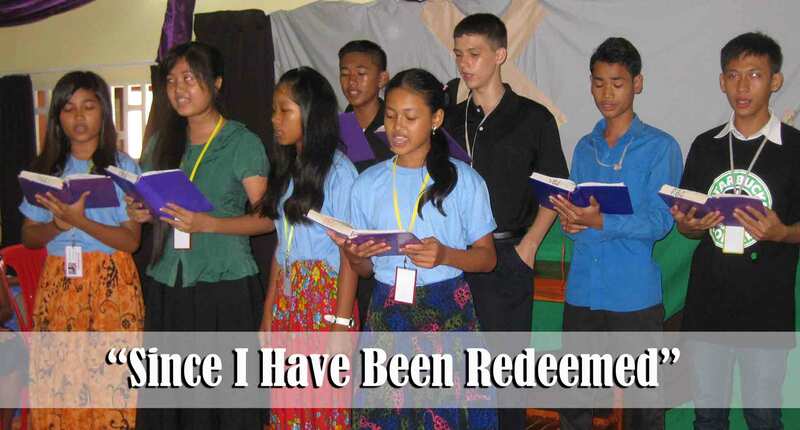 Please continue to pray for SreyMar as she seeks to be a good testimony to her unsaved parents. God is absolutely amazingly wonderful, isn’t He? Thank you all for your faithfulness. 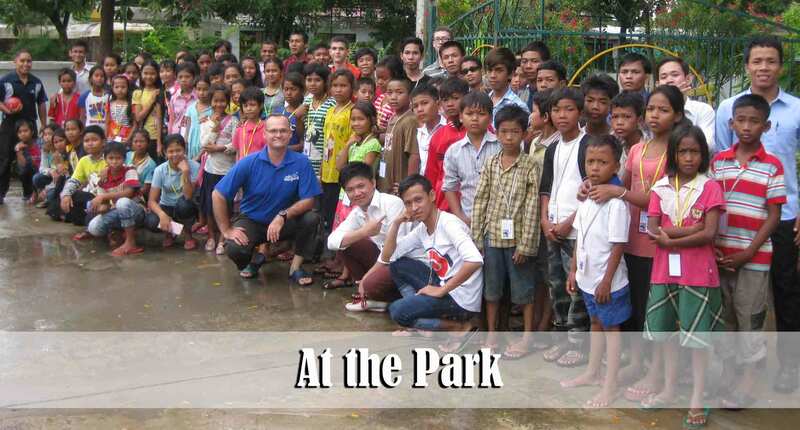 great service, great people, praise God, Pastor Dave you have become Cambodian. You are so precious.